Florida "Zombie" Foreclosures Are The Highest Throughout The Nation | The Law Office of Emil Fleysher, P.A. Florida “Zombie” Foreclosures Are The Highest Throughout The Nation | The Law Office of Emil Fleysher, P.A. Even after a 35 percent decrease in “zombie” foreclosures, Florida continues to lead the nation with the highest number of “zombie” foreclosures. Throughout the U.S., Florida has the highest number of “zombie” foreclosures. 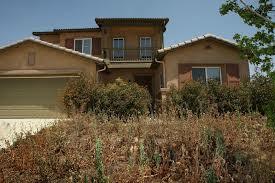 “Zombie” foreclosure is a term used for properties that are under foreclosure but have been abandoned. There are only 36,000 pending “zombie” foreclosures, which is a 35 percent decline from this time last year. However, other states such as California, Illinois, Indiana, New Jersey, New York, North Carolina, Maryland, Ohio, and Pennsylvania are also experiencing a high number of “zombie” foreclosures. This kind of foreclosure accounts for about one fourth of all foreclosures in Florida. “Zombie” foreclosures pose a great problem for the banks that have ownership of the property and are trying to put them back on the market. Many of these homes have overgrown lawn, many damages, and the utilities may have been turned off for months or perhaps even years. Although these “zombie” foreclosures have been down from a year ago, they still represent a large share of foreclosures nationwide. There are more than 142,000 foreclosed properties that have been abandoned nationwide, reported RealtyTrac. Daren Blomquist, the vice president of RealtyTrac, stated that “zombie” foreclosure are normally the problem cases still “stuck in the pipeline”, and they are more common in the states with a longer foreclosure process. Mr. Blomquist also stated “The increase in zombie foreclosures is actually a good sign that banks and courts are finally moving forward with a resolution on these properties that may have been sitting in foreclosure limbo for years”. New York had the most “zombie” foreclosures at the end of last month with more than 19,000. This is at the metropolitan level. Others metro areas near the top of the list were, Tampa, South Florida, Orlando, Jacksonville, Baltimore, Philadelphia, Jacksonville, Las Vegas and Los Angeles.